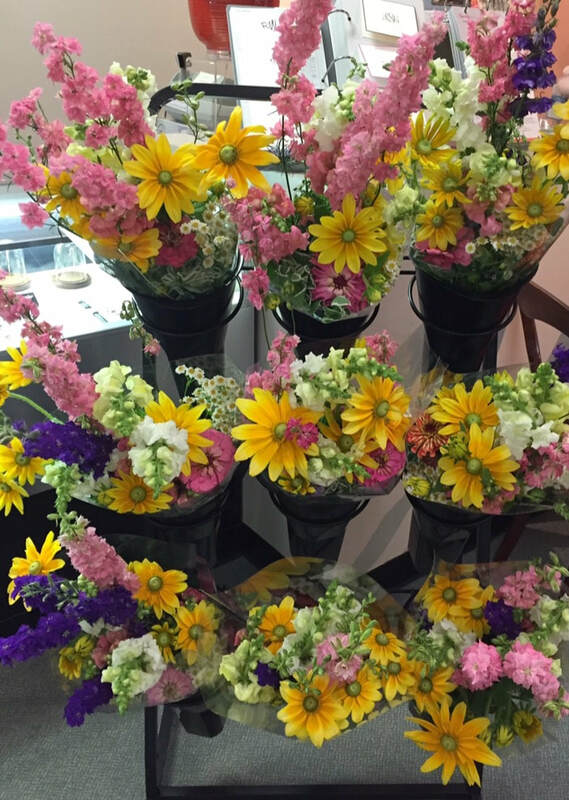 A seasonal flower bouquet, delivered fresh each week for you to pick up at Baker's Fine Jewelry and Gifts in the Linkhorn Shoppes on Laskin Road. 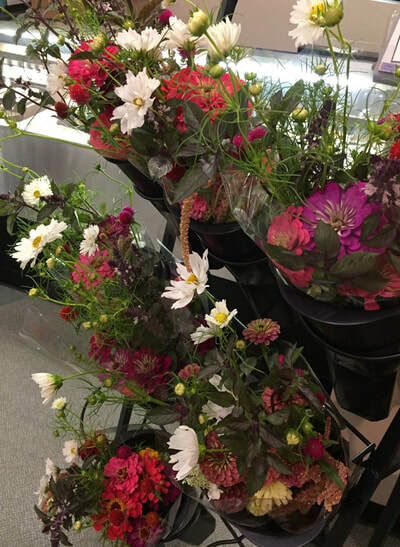 Session One bouquets can include snapdragons, Queen Anne's Lace, foxglove, bachelor buttons, peonies and towards the end, zinnias and rudbeckia. Your first order will include a waterproof carry bag that hangs from the car headrest and 10 packets of flower food. Remember to bring your carry bag each week to enjoy the freshest, long lasting bouquet. A seasonal flower bouquet, delivered fresh each week for you to pick up at Baker's Fine Jewelry and Gifts in the Linkhorn Shoppes on Laskin Road. 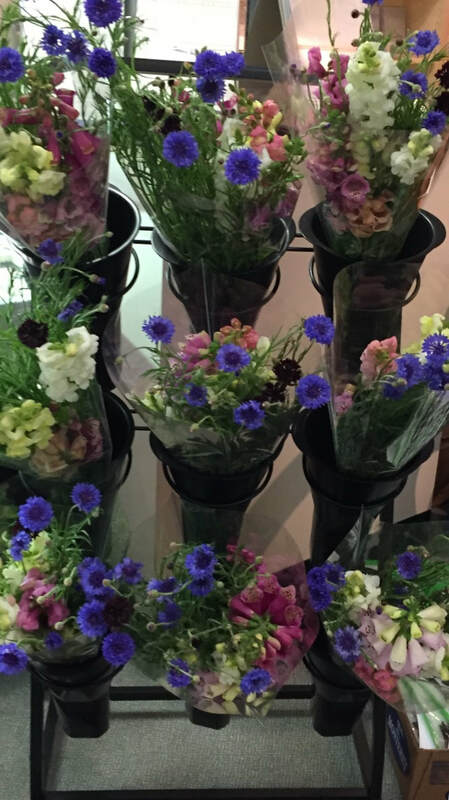 Second session flowers can include zinnias, celosias, cosmos, sunflowers, gomphrena and dahlias. Your first order will include a waterproof carry bag that hangs from the car headrest and 10 packets of flower food for the season. 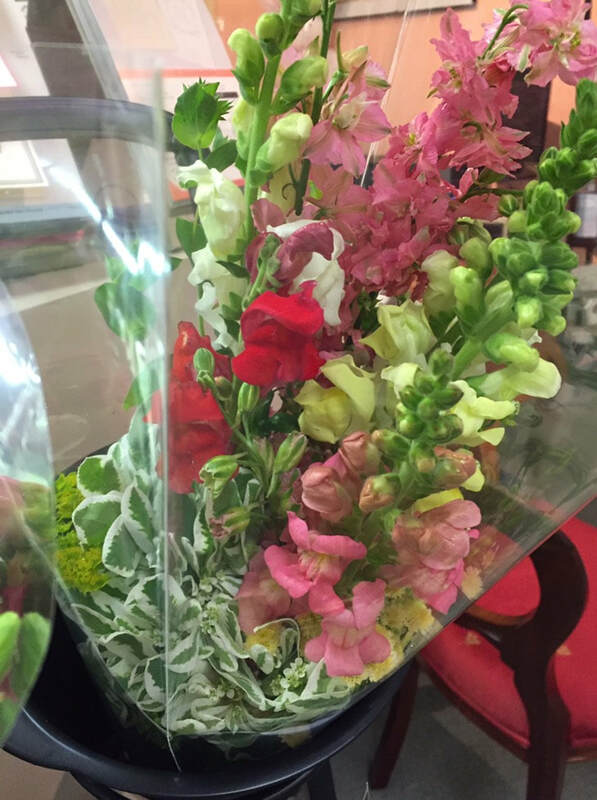 Remember to bring your carry bag each week to enjoy the freshest, long lasting bouquet!